2017 B.A.S.S. Fishing Hall of Fame Inductee – Shaw Grigsby fished his first national tournament in 1977 — 40 years ago this year. 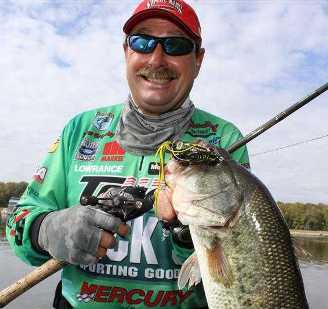 A former motorcycle racer, he becoming a full-time pro angler on the Bassmaster Tournament Trail in 1984, and since then has won nine Bassmaster tournaments, qualified for the Bassmaster Classic 16 times, and competed in four FLW championships. Known for his sight fishing expertise, in his fishing career with B.A.S.S. Grigsby has 60 Top 10 finishes and has won more than $2 million. To many of his fans, Shaw is the 20-year-plus host of One More Cast with Shaw Grigsby, airing on the Sportsman Channel.